Does your cadaverous pallor betray an aura of foreboding? 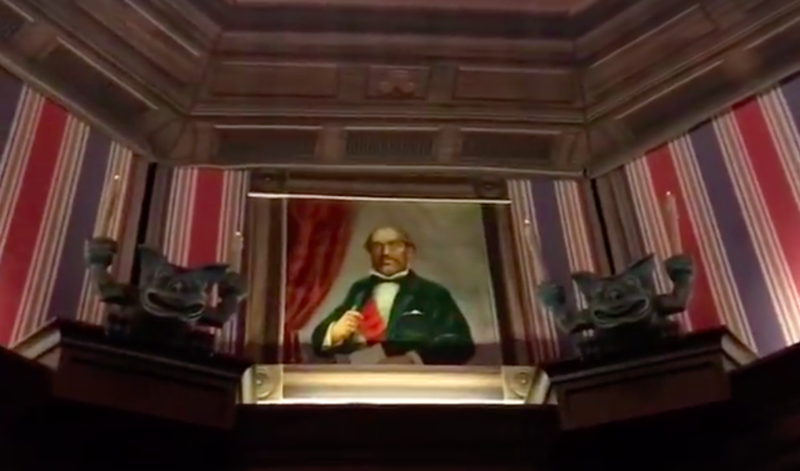 This actually may be the coolest Haunted Mansion inspired decor I’ve seen yet. 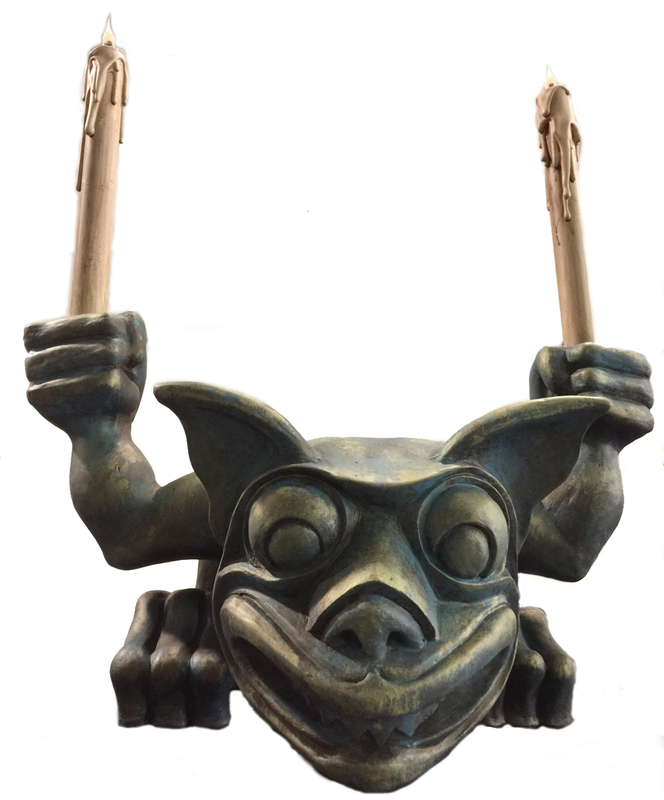 Someone has recreated the gargoyles from the stretching rooms from the Haunted Mansion and you can now buy one for your house! You may recall, the folks at Wacky World Studios created an incredible home for a Disney mega-fan inside Golden Oaks at Walt Disney World. This home came complete with an actual stretching room (seen above) that actually stretches! 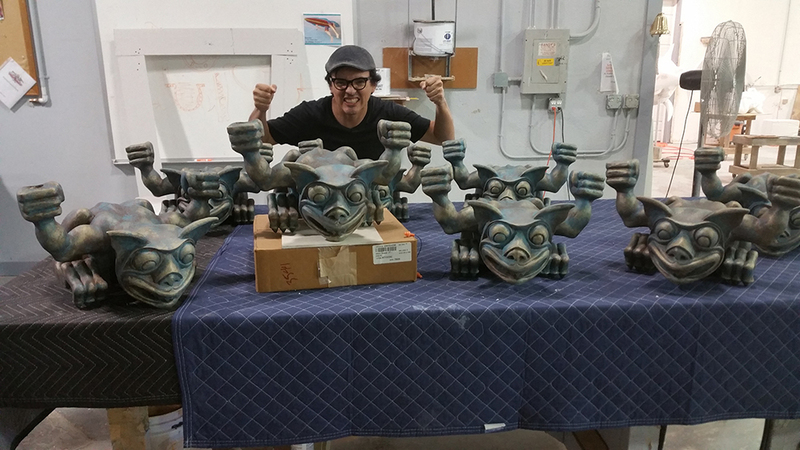 As part of that install, Wacky World Studios created authentic gargoyles for the house and now you can have them in your own home! Yes, you can place your order now for a Haunted Mansion gargoyle replica. Gargoyles measure approximately 19″ tall by 19″ wide and 12″ deep. A finished and painted gargoyle costs $355.00 and if you want to do the finishing yourself, you can buy the mold for $160.00. As a Haunted Mansion fan, I may have to get one of these myself! This entry was posted in Disney and tagged Haunted Mansion, Haunted Mansion Gargoyle, Wacky World Studios. Bookmark the permalink. Trackbacks are closed, but you can post a comment.